A dragon in the Muttart Conservatory in Edmonton in Alberta, Canada. Flowers and a dragon in the Muttart Conservatory, Edmonton, Alberta, Canada, North America. 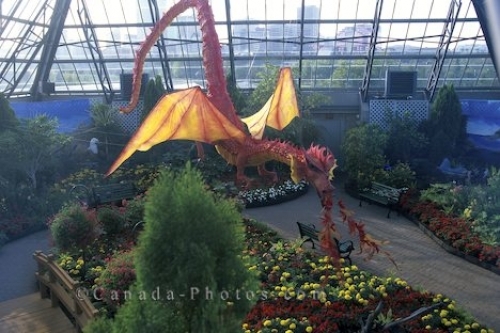 Photo of flower decorations and a dragon in the Muttart Conservatory in Edmonton in Alberta, Canada.